We are massive fans of the trio known as The Glitch Mob. The word ‘pioneers is often overused today, but in the case of The Glitch Mob it couldn’t be more apt. They are credited for starting up a whole movement (glitch hop) and they set the scene for a whole host of acts to come to the fore. They recently released their new album ‘See Without Eyes’ alongside a massive visual campaign which includes an immersive live show and a visual accompaniment for the full album. 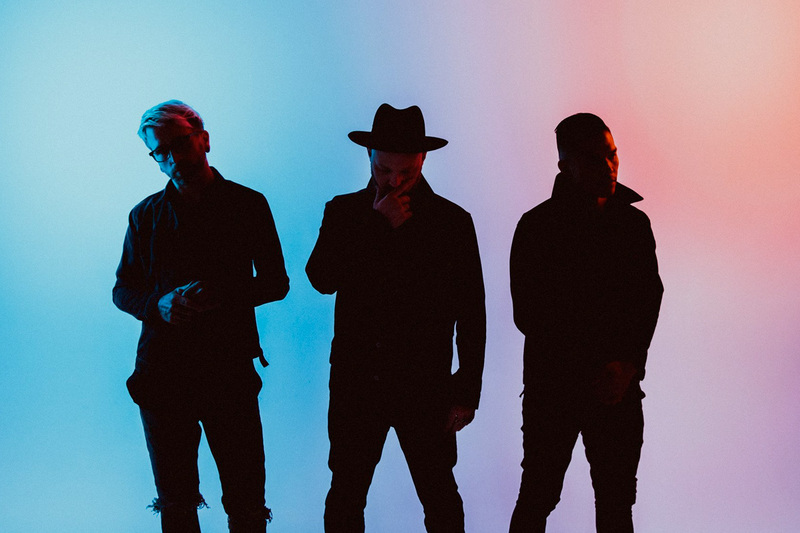 We got some time with The Glitch Mob to chat about the whole process. Hi guys, hope you are well! We are loving the new album! How do you feel the new album stacks up against your other albums? It’s about the journey for us, not the destination. Looking back at all of our albums, it feels like a journal. This one is the latest chapter. It’s more balanced towards a full album listening experience. What is the best memory you will take away form the studio sessions for this album? We absolutely loved all of the collaborations this time; it was a super fun process. We hope that people can hear how excited we are about all of the vocalists. If you could play us only one song from the album which track would that be and why? (FYI our favourite is How Could This Be Wrong)? We agree, which is also why we led off with that single. It’s a good bridge between worlds for us. That one, or Go Light is a second favorite. The Glitch Mob is synonymous with crystalline sound design. Who in your opinion is doing great things with sound design today? Thank you for the kind words. Tipper is one of the best sound designers in the world. We’re also huge fans of Jon Hopkins. A massive aspect of this campaign has been the visual aspect in collaboration with Strangeloops. What initially drew you to Strangeloops? David Wexler aka Strangeloop and his whole studio are old friends of ours who we’d been wanting to collaborate with for a while. He’s an artist that we deeply respect and understands who we are as humans. A deep connection like that always makes for better work. Something I’m really looking forward to is seeing the Blade 2.0 concept. What exactly is that – and when can we see it in Australia? The Blade is our custom stage instrument. We’ve made this monstrous musical spaceship to be able to perform our music live in our own way. It’s about merging the live energy of a rock band with the precision of electronic music. The goal is to bring it around the whole world… maybe even the galaxy. The Glitch Mob ’Seeing Without eyes’ is out now through Glass Air Records.